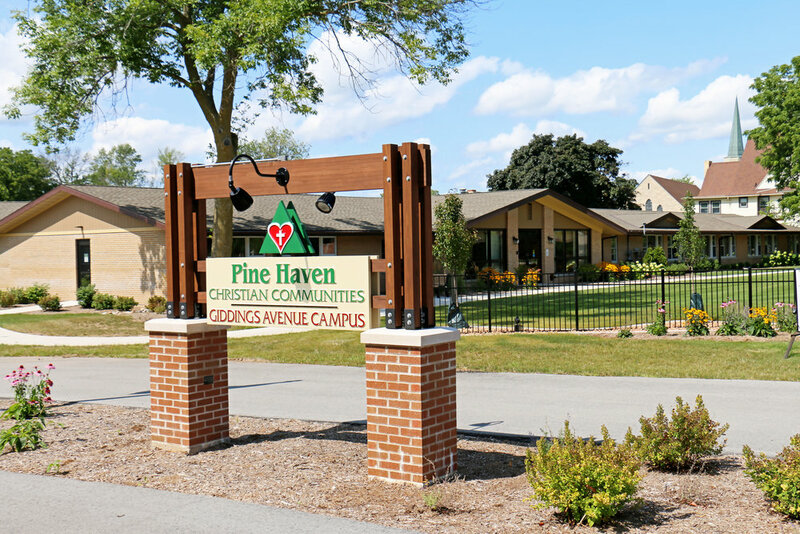 Founded in 1950, Pine Haven Christian Communities was created by 18 Sheboygan County churches with the mission of providing compassionate, Christlike care to our seniors. Visionary members of the Christian community had a dream in the late 1940s. That dream was to establish a home where the elderly could live assured that care would be provided with Christlike compassion and love. The founding roots of Pine Haven were the result of First Reformed Church’s Reverend Raymond J. Lubbers and his lifelong friend, Sheboygan Falls meat market and packing house owner, Jacob Clicquennoi. Clicquennoi made a memorial bequest of $50,000 to First Reformed Church. With this seed money, the church could consider a building project. In February 1950, the articles of corporation were drawn up to establish a non-profit organization. That same year the Peter and Mattie Reiss estate was purchased. The home was located on 37.5 acres of land at the southern edge of Sheboygan Falls also known as the Pinehurst property. This first home had a capacity for twelve residents and the first one arrived on October 16, 1950. The name Pine Haven Christian Home was selected since each word in the title describes some aspect of the home. Pine stands for the type of tree which was so abundant when the land was purchased. Haven represents the peace and security the home provides for residents. Christian indicates that God is honored here. Home refers to the comfortable shelter provided. 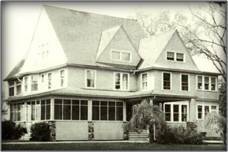 The first addition to Pine Haven was in 1958. This building was then expanded in June 1968, adding a west wing of fifteen rooms, lounge area, dining room, and kitchen. 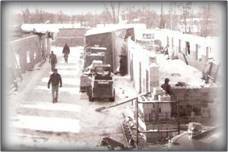 In 1973, twenty residential center rooms were added as a south wing, along with a nurse’s office, and a full basement. By this time, the original Reiss home was obsolete for use as a health care facility and was sold to the neighboring church which still uses it for educational programming and local food pantry. In 1983, a major addition was completed that included a separate dining room, equipping the 32 resident west wing with hospital beds, and related equipment for bathing and other physical needs. This was all in an effort to offer intermediate nursing care. By 1986, a new Residential Center that included 51 resident rooms, an elevator, dining room, lounges, a relocated central kitchen, and office was complete. In 1993, the addition of the south Residential Center included 85 resident rooms, dining rooms, lounges, kitchen addition, activity assembly room, and offices. In July 2006, ground was broken for a new facility, Prairie Crossing. This 40 unit apartment complex provides supportive, personal and nursing services in an active assisted living setting. 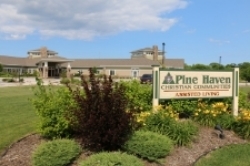 Pine Haven Christian Communities expanded out of Sheboygan Falls ten miles to the south in the village of Oostburg. In 2010, this facility opened its doors with 24 apartments. Six additional apartments were added in 2012. Covenant Home-Assisted Living for Memory Care was created in 2011. We felt strongly with regards to this missing component in our continuum of care. Staff is trained by the Alzheimer’s Association and our program has been extremely successful since its inception. In 2014, Pine Haven Christian Communities broke ground on their newest expansion - a full continuum of care on our Haven Drive Campus. 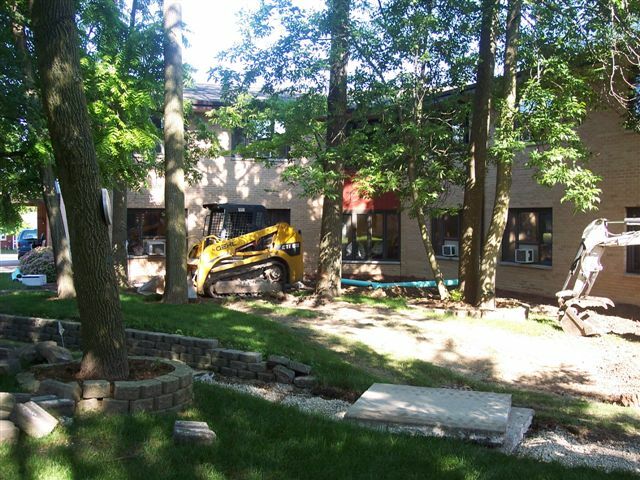 This expansion opened in 2015 - with 36 rooms for long-term skilled nursing care, 14 rooms for rehabilitation care, 32 rooms for assisted living with memory care (including 8 of these for memory care with acute physical care needs - a new concept in senior care), 8 rooms for standard assisted living, a new educational center, a new community center, multiple gardens, and a village square with a general store, salon, and cafe.